How Can Dental Implants Be Used to Improve My Dentures? How Can Dental Implants Be Used to Improve My Full or Partial Dentures? When most people think of dental implants, they visualize the implant replacing an individual missing tooth. This common treatment involves attaching a dental crown, or cap, to the implant to create a permanent solution for a single tooth. But what about folks that have several missing teeth and are currently using partial or full dentures? Can implants provide any advantages here? Absolutely! Dental implants can be used to improve the performance and appearance of both partial and full dentures. If any of these problems sound familiar to you, we recommend a consultation with our experienced dentist in Pasadena. Dental implants can be used to improve the retention and stability of existing partial and complete dentures. They will help provide support to the denture, eliminating the tendency for dentures to come loose, collect food, and cause discomfort. Depending on the circumstances, sometimes as few as one or two implants may be all that is needed to provide a huge benefit. By placing the implants in key locations in your mouth, the implants will help fix the denture in position and stop it from shifting. This provides a long-lasting and effective solution for multiple missing teeth. With the help of implants, your confidence will increase in your dentures, and you will have a rejuvenated appearance! This means that the actual full denture is fixed into place and permanently anchored to the jaw. 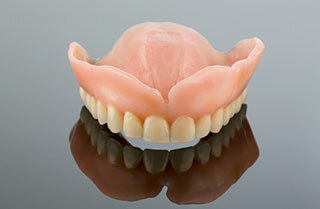 This form of denture cannot be removed by the patient like traditional dentures. This method is a great option because the implant fixed dentures will make you feel like you have a new, functioning set of teeth again with absolutely no need of having to remove and soak them at night or deal with the extra care that comes along with having dentures. The dentures are brushed and cleaned in your mouth similar to natural teeth. Contact us today if you would like to learn more about getting dental implants if you already have a partial or full denture. We can explain how implants can be used to improve the performance of your dentures, restoring the comfort and confidence in your smile! 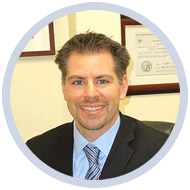 Our dentist at Prestige Dental in PasadenaDr. Vasag Bouzoghlanian, can't wait to help you achieve the smile you've always wanted! Can I Have Dental Implants If I Smoke? Does Dental Implant Treatment Hurt? How Can I Replace My Missing Teeth with Dental Implants?